The sequel to the original ground-breaking iPad, the iPad 2 is a close cousin of the first generation of Apple tablet computers. Although the two models are very similar when it comes to software, there were certain hardware updates that made the iPad 2 a favored choice for many consumers. The first thing that many users of the iPad 2 noticed was that it has a few aesthetic and functional changes from the original, such as a thinner body, that was even thinner than the iPhone 4. All of the models of the iPad 2 come with an ambient light sensor, making e-book reading easier and overall user experiences better. Consumers who flocked to the iPad 2 for gaming noticed big improvements over the iPad 1. The accelerometer and three-axis gyroscope give motion sensing games the most accurate experience users have seen until this point. Improvements in battery life and the operating system meant games, music, and videos load and play faster, without sucking the energy from the battery like the original iPad. The addition of iMovie allows users to do video editing on the fly and then upload and share the videos immediately. Unfortunately the iPad 2 does not support Flash for HTML5, making viewing capabilities on the device lower than what many users had expected. The iPad 2 introduced a second camera but the quality of both the front and rear cameras were still not what users had hoped for from a technical perspective. The rear camera has an HD lens which is of a lower quality when compared to a 5+ megapixel camera that most would find on their smartphones. While the camera quality is disappointing, it still works with the popular FaceTime app. The 3G version of the iPad 2 includes a Micro SIM card reader, and all models now have the speaker on the back of the device. Battery life of the iPad 2 was much improved and user complaints about dead devices were all but silenced. While the software of the iPad 2 is almost identical to that of the iPad 1st Gen, the new dual core A5 processor makes the tablet computer run much faster than its predecessor. This increase in processing therefore supported faster and improved browsing with Safari and other apps. One of the more popular app introductions is GarageBand – a relatively inexpensive app that lets users mix their own music, add special effects, and even play virtual instruments. Another entertainment-value app with the iPad 2 is Photo Booth where users can create special effects with images. 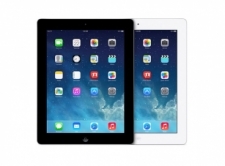 The iPad 2 is available in either white or black bezel. However, many customers wanted a way to protect their devices, especially since the tablets get carried in backpacks, briefcases, and shoulder bags. Apple introduced the new Apple Smart Cover that is available in different materials ranging from about $40-$70. The unique magnetic closure design helps to keep the cover on the iPad 2 when not in use, but not be cumbersome otherwise. The iPad 2 came with improvements to both the software and the hardware so obviously only the best online casinos kept up with the new technological advancements. Most of the mobile casino software that was available at the time was not updated for years after it was released, and as a result many users of Apple devices did not know where to play online. However the new casino software that was being released in 2013 and 2014 was optimized for newer, faster tablet computers, but also worked great on older devices as well. After much research, here are the online casinos that we at MacCasino.net recommend for the iPad 2, broken down by geographic region. The best online casino for iPad 2 users in the United States is definitely the Bovada Casino due to their award-winning software and huge selection of games. 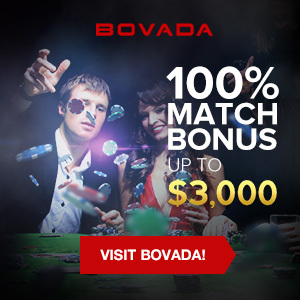 Bovada has been operating in the USA since 1994 and are known for going the extra mile for their players. They also have an excellent rewards program for VIPs that offers cash back and exclusive prizes. Whether you are playing blackjack in Glasgow or roulette in Cardiff, the best online casino for iPad 2 owners in the United Kingdom is the Bet365 Casino, who offer some of the fastest mobile casino games on the internet today. As the iPad 2 does not support Flash for HTML 5, you must ensure that the casino software that you choose still runs smoothly on earlier versions of Flash, which Bet365 does beautifully. Those living in the Great White North know that they are going to be hibernating from November to April each year, so finding a great online casino to pass the time is essential for those Canucks who like to gamble. Although iPad 2 users do have some options to choose from in Canada, we have found that the best online casino for this device is the Bodog Casino because their software still runs smoothly on older Apple tablet computers. They also offer a great welcome bonus and friendly customer service.